The Dua Gifts Key Ring comes with a secure ring, a hassle-free clip and a petite Dua Gifts charm; all adorned in a golden hue. The front shines with a glossy finish while the back is golden with a non-slip groove texture. Let a sense of calm wash over you with a variety of floral, pastel and marble designs rimmed with a golden frame - curated for the modern taste. Although metallic/ alluminium, the Dua Gifts Key Ring is light as a feather, symbolizing both strength and grace for the hustler in you! The message on your Dua Gifts Key Ring is often short and sweet, yet beautiful to hold on to. 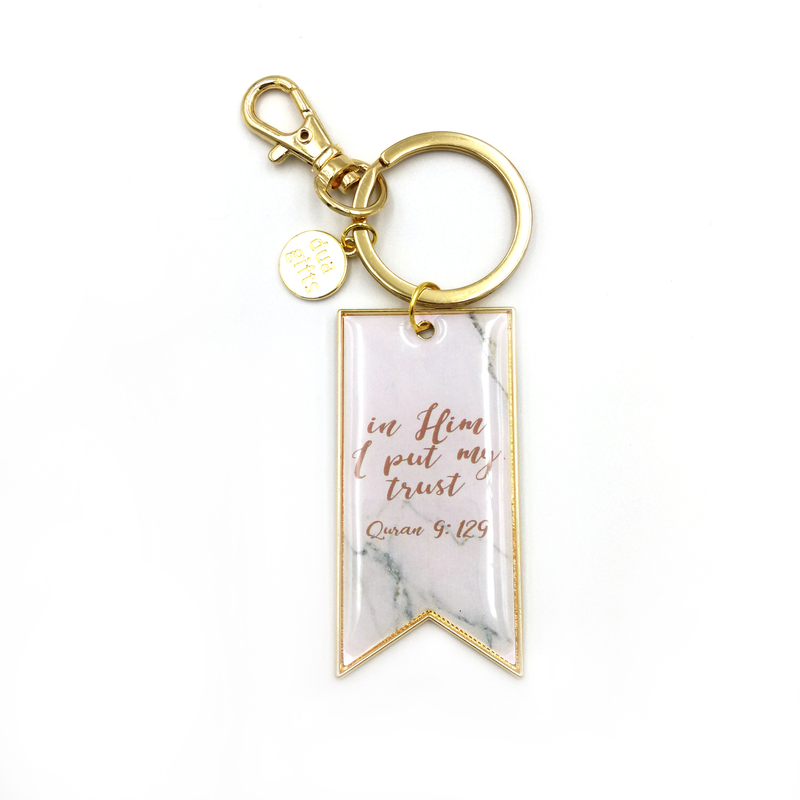 It’s time to lay those tired key rings to rest (the ones your aunt got you from her vacations many years ago), and switch to the Dua Gifts Key Rings. Perfect as a gift for yourself or loved ones, it’s a modest yet meaningful accessory to brighten up any spirit.